By Agus in Gadgets. Updated on May 9, 2016 . After getting a Macbook, you may have considered getting skins, decals or protective cases or sleeves for it. Most of these accessories are however quite generic and commonplace. If you want your personality to shine through, you’re going to need better methods, like the ones we are showcasing here. 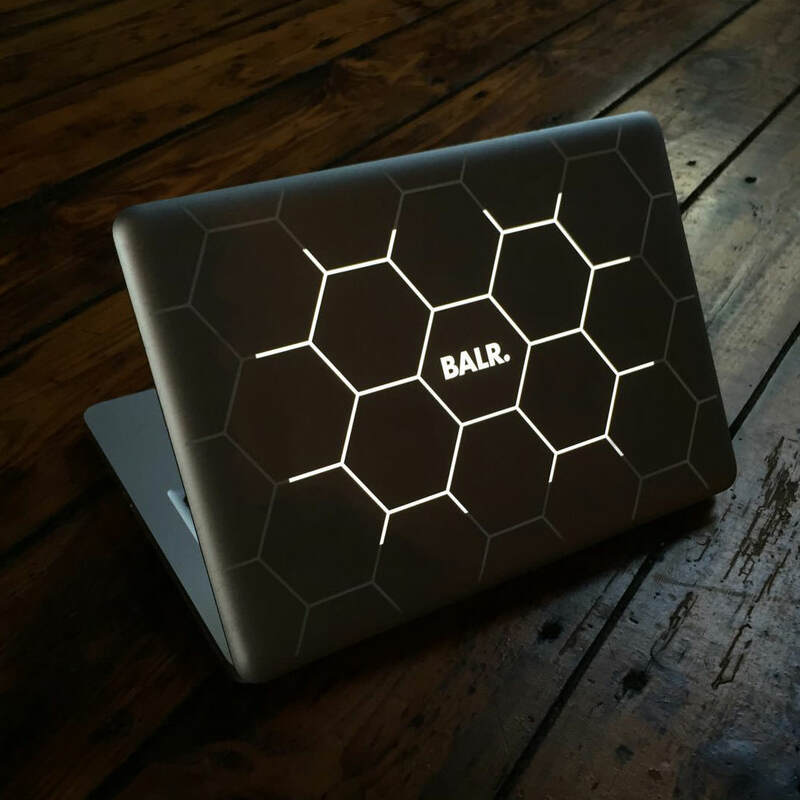 From giving your Macbook a monogrammed picture of you taken from your Instagram account, to giving it a fully customized makeover (warning: some laser cutting is involved), we’re looking at 9 different ways to customize and personalize your Macbook to better express yourself. Once you’re done, check out some of these accessories that go well with your Macbook. 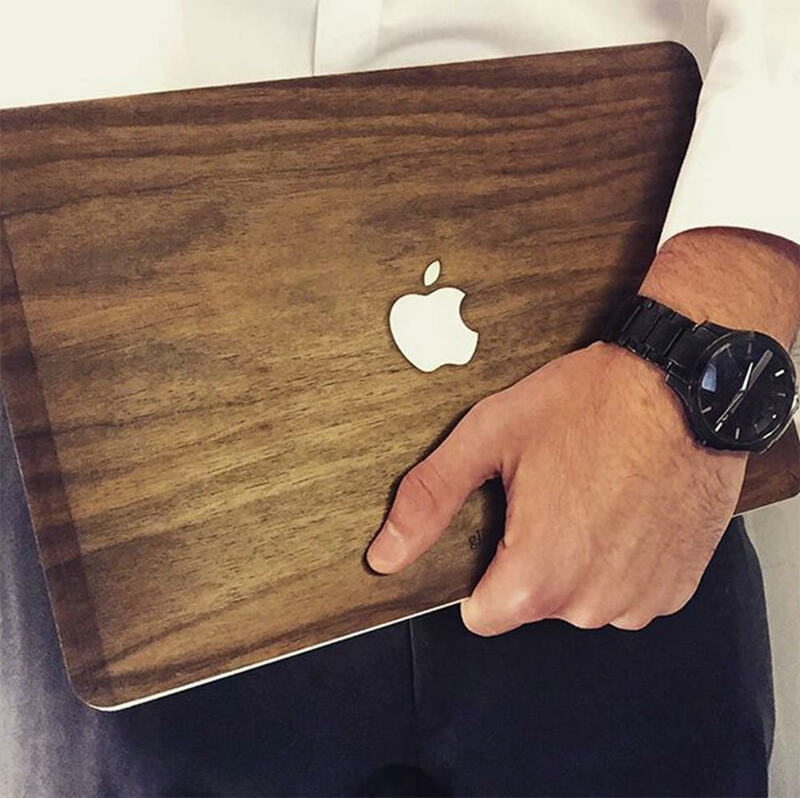 Toast offers wood texture custom covers for Macbooks, Chromebooks and Microsoft Surface. Buyers can add custom text and upload their designs, choose the type of wood, opt to customize only the top cover or the bottom as well or add special instructions. The designs are laser-cut onto the surface of the cover with high precision, then finished by hand to produce an elegant wood grain pattern. Custom covers start at $84. 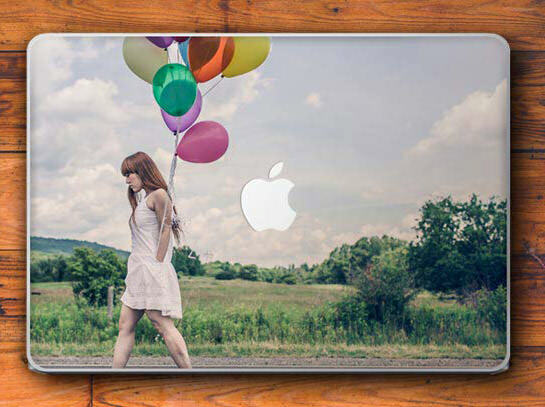 Uncover offers full customization options for your Macbook cover. Basically, whatever it is that you can think of, they can make it happen. Company logos, personal monograms, intricate designs, anything you think can be a better logo than the default fruit logo can be carved into your Macbook cover. The service starts at €499 for simpler designs. 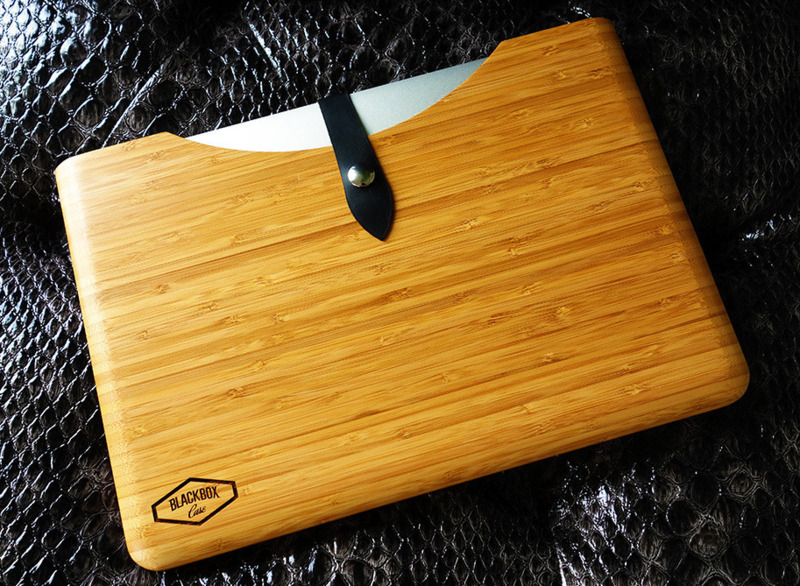 With Blackbox your Macbook will safely secured in a beautiful case made by bamboo with a stylish and sturdy design. The manufacturer chose bamboo because it has a higher compressive strength than wood. The BlackBox case comes in two styles: carbonized and natural bamboo. You can add custom text on the case surface and they will carry out laser engraving for you. Get this case at $179. Decal Girl has an app that allows you to design and create not only your own Macbook skin, but also for the inside tray, where the keyboard is. From the app you can add text with dozens of fontfaces, your own name or initials as a monogram, or your own photos via upload or from your Instagram account. The app also has a collection with templates to choose from. A Decal Girl skin is yours from $39. 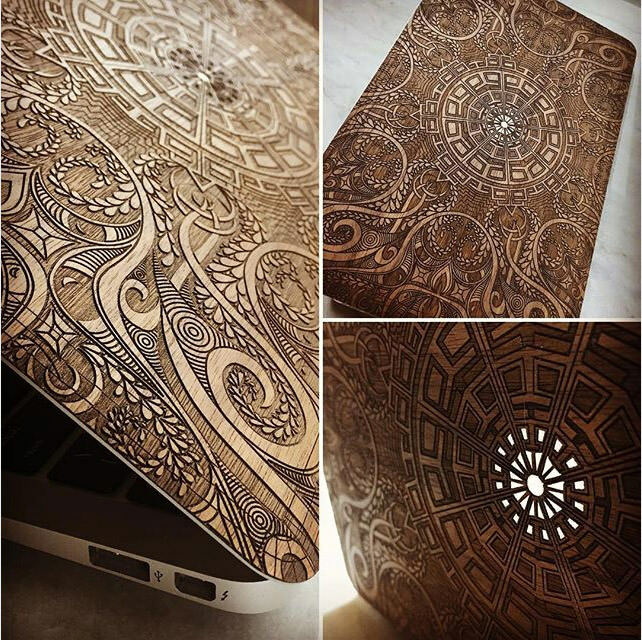 If you’d like to see your Macbook with a wooden cover, then you need to check out Glitty. Glitty covers have a unique design of the wooden kind, with three type of wood to choose from: walnut, cherry and purple heart. Prices range from $79 to $129 and the covers are available for Macbooks sized 12", 13" and 15". Glitty covers are handmade and carry two layers of coating for that elegant look. 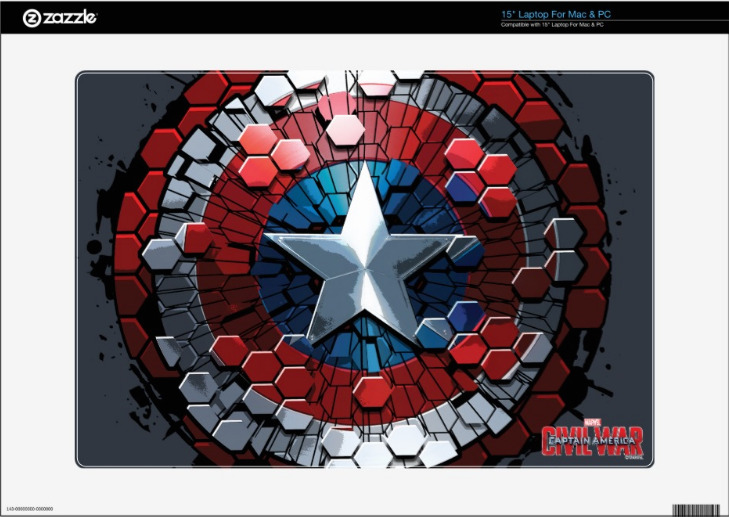 Zazzle custom skin allows you to express your personal style on your Macbook or other laptop models skin. You can make your own skin with its design tool. 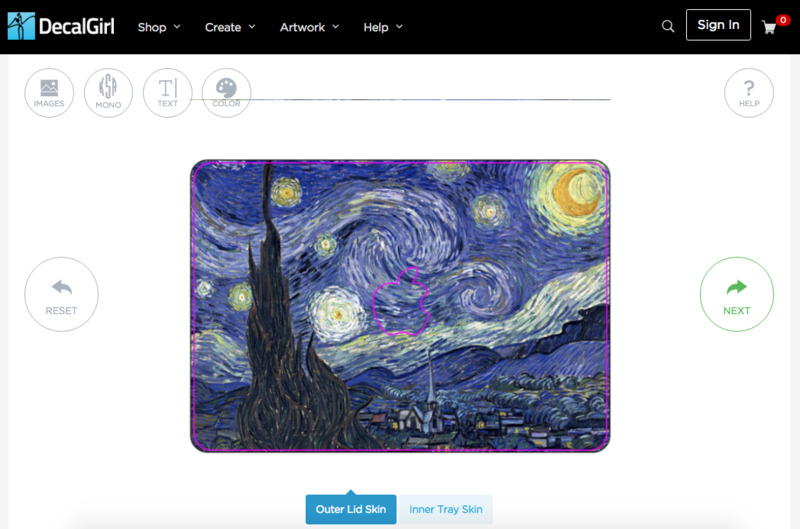 Mix and match designs, artwork, and font to create your personalized custom skin. The skin is made by ultra-thin 3M vinyl with air release technology to ensure you have smooth skin that is protected from scratches. Skins are available from $29.95. Caseable enables you to create your own case for your gadgets, no matter if it is a Macbook, laptop, tablet, Kindle or smartphone case. 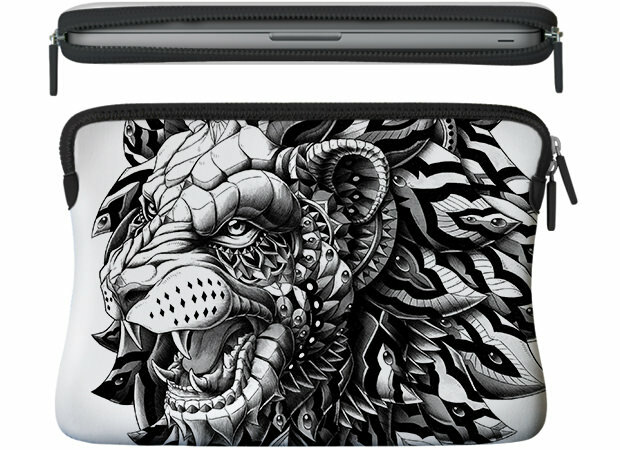 It comes with an app that lets you compose your own Macbook sleeves using dozens of predefined artwork or with your own images and text, plus base colors for the front, back, side and zippertape. Caseables are available from $59.90. Wrappz Macbook skin made with 3M patented removable vinyl, contains micro-channels to prevent air bubbles during application, and leaves no residue when you want to remove it. You can personalize the Macbook skin with your own images, and choice of quotes. There are 10 templates to work on so you need not start from scratch. The skin is available for €12.95. Prefer to change your laptop skin every single day? 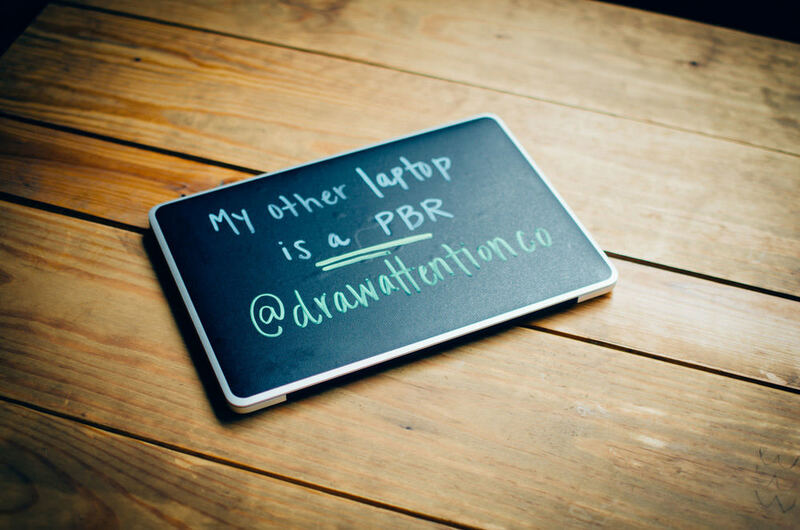 This one is actually a blackboard mounted on top of your laptop lid. Freely express yourself, your current mood, your availability, what you are working on or a thought you are sitting on, right on the board. There is also a whiteboard version available, for both Macbook and PCs from $11 onwards.